Harriman State Park, located in Rockland and Orange counties, is the second-largest park in the parks system, with 31 lakes and reservoirs, 200 miles of hiking trails, two beaches, two public camping areas, a network of group camps, miles of streams and scenic roads, and scores of wildlife species, vistas and vantage points. I was lucky enough to get a Packman Pro 2 from Ortlieb as a demo. I also brought along some Black Diamond Trail Trekking Poles, which would prove to be invaluable. Also, no hike would be totally safe without my Garmin In-Reach and Safety Pizza. 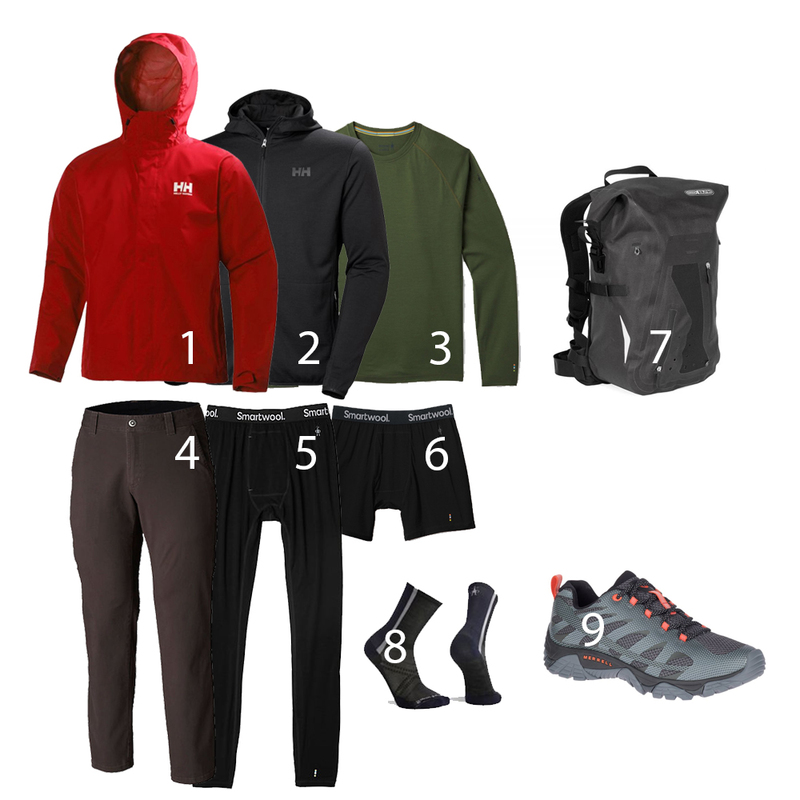 See complete gear wrap-up at bottom of post. The train out to Sloatsburg , NY was pretty easy. Subway from Brooklyn to Penn Station in Manhattan. 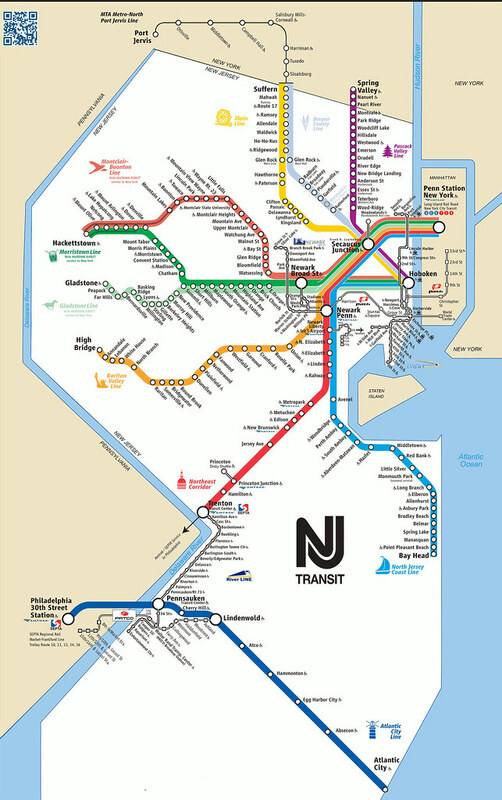 New Jersey Transit from Penn Station, transfer (easy and painless at this modern transit hub) at Secaucus. Total travel time is under an hour. There was a little moisture on the ground and in the air when I transferred at Secaucus. The train from Secaucus to Sloatsburg is a bit of a throwback…pictured above is basically the train station. You climb down the stairs, hit the pavement, and you are “there”. This route is a bit off an offshoot from their “Main Line”, and doesn’t stop at Sloatsburg that often. Be sure to plan you return trip around your hiking time. The first thing I did when I got off the train is use my Garmin In-Reach to get a weather report, drop a waypoint and start the live tracking tools so that others could locate me in case of emergency (Tracking Map here)…or make fun of me for lack of progress. 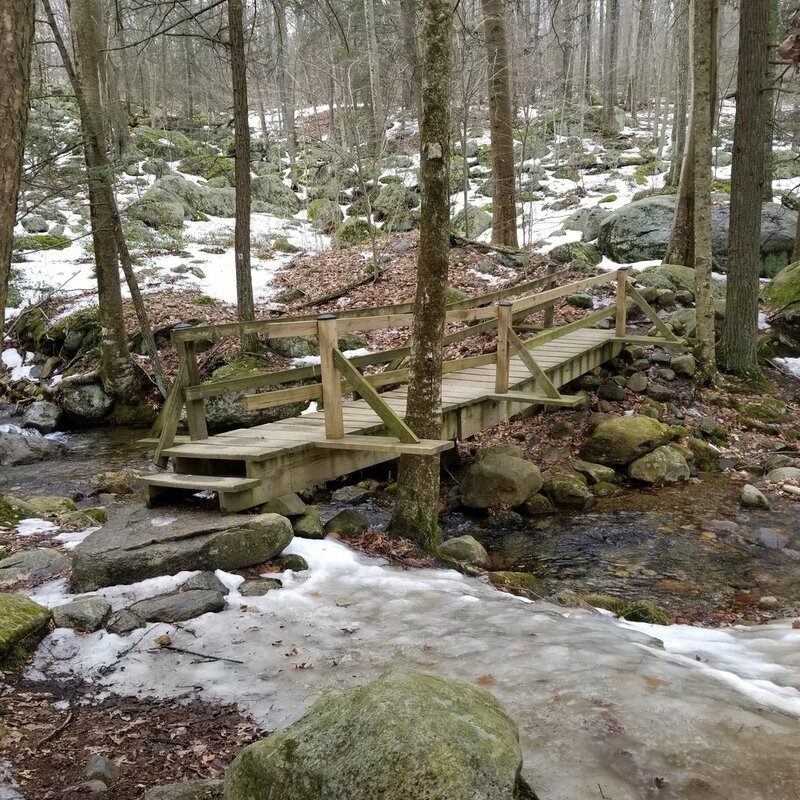 From Sloatsburg, its a 1.8 mile walk along the road to the Reeves Meadow Information Center at 54 Seven Lakes Dr. Following the advice of the recently-interviewed Adventurer and First-Responder Mark Silverman (Listen to Bike Shop Radio), I took a picture of the trail map as posted on the Ranger Station board. 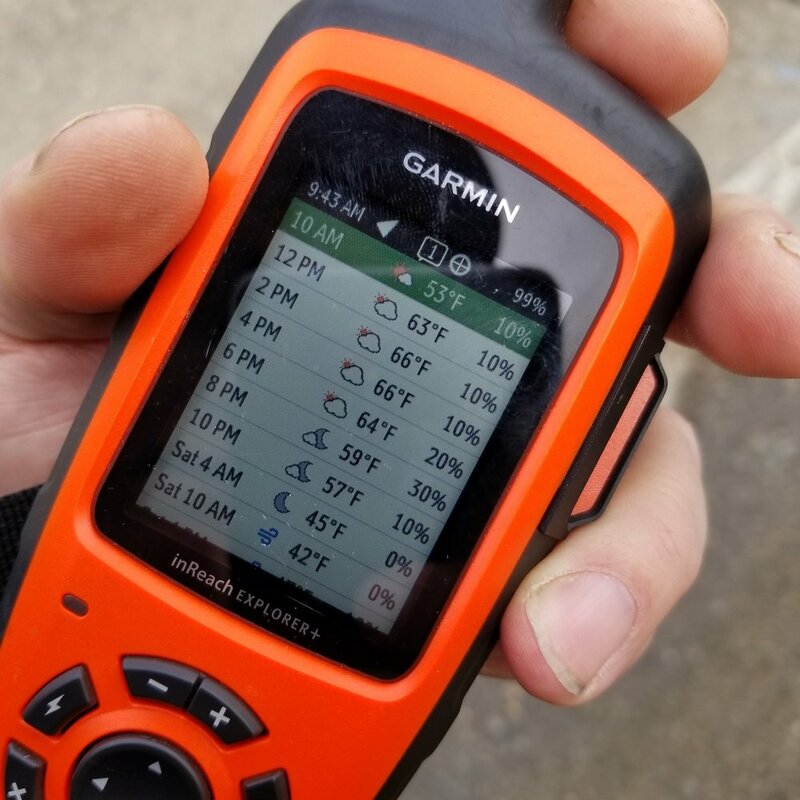 This would hopefully augment my maps and digital files with the latest trail updates. 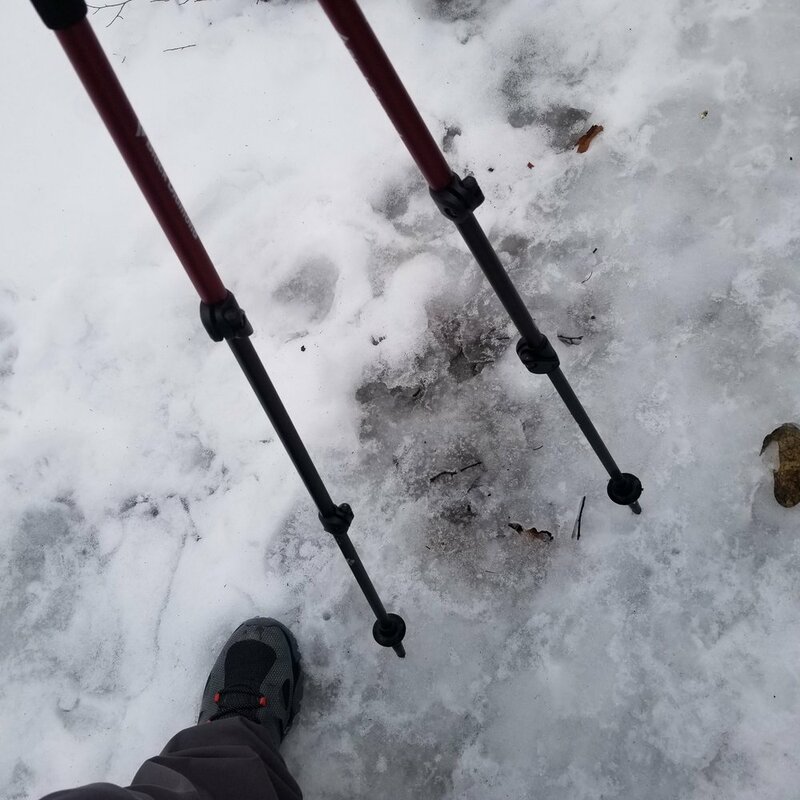 I was surprised by the amount of snow and ice on the trail. So much, in fact, that it was incredibly slow going. My initial plan was a 7 mile hike in a circuit in a clockwise direction. I started off heading west on the red trail. The glorious summit of Mt. Chipmunk at 1250’. The view was breathtaking. Spirits stayed high throughout, even after I lost the blue trail at the top of Mt Chimpmunk. I actually got a little turned around and off of any marked trail. I found the intersection of the Orange and Blue trail, as I intended. I could not pick up the blue trail after the initial blaze, and got spun around trying to reverse back to the orange trail. In a slight bind, I used my compass and map skills to work my way north, knowing that I would intersect the east-west running Red Trail. I remember what Mark had said in our previous interview…”Slow is smooth, smooth is fast”. i also recounted how he had mentioned that many/all of his outdoor mishaps had occurred while doing things too fast. I knew I had plenty of daylight, food, water and situational awareness to navigate my way back to a know position on my map. After bushwhacking north, I intersected with the Red Trail, and decided to wrap it back around to the Rangers Station to the west. I encountered long stretches of solid and slick ice, which made for some very slow going. With out these hiking poles, I would have been totally sunk. In the end, I didnt get the hike in that I had planned for, but I certainly got a workout. My ultimate path looked like this. I didnt do the mileage that I envisioned as I was moving at 1-2 mph in the snow and ice. Clothing: 1. Helly Hanssen Seven J Jacket, 2. Helly Hansen Merino Fleece Hooded Jacket. 3. Smartwool Merino Base Layer. 4. Columbia Ultimate ROC Flex Pants,. 5. Smartwool Merino 150 Base Layer. 6. Smartwool Merino 150 Boxer Brief. 7 Ortlieb Packman Pro 2, 8 Smartwool Cycling Socks, 9. Medrrill Men's Moab Edge 2 Shoes. Electronic Gear: Many people get out into the wilderness to get away from technology. there is no doubt that these devices are tools that can save your life if used properly. From Top Left/Clockwise: Black Diamond ReVolt Headlamp, Garmin In-Reach, Zoom Personal Recorder (for Podcast recordings! ), Charging Cable, 10000mAh portable battery. I determine the viability of a portable battery by its weight vs its output (this one weighs 10.2 ounces/290 grams). Water Gear: From Top/Clockwise: 718 Water Bottle, MSW TrailShot Water Filter, Nuun Electrolytes Hydration Tablets, 2L water bladder. Navigation: Compass, Map, Train Schedule, Ortlieb Waterproof Document Holder. Tools: Clockwise from Top Left: Zip Ties, Bungee Chord, Gorilla Tape, Salsa Straps, Lighter Leatherman, Paracord, Sparky Fire Starter, Electrical tape, Waterproof matches, $20 Bill, 3 AA Batteries.